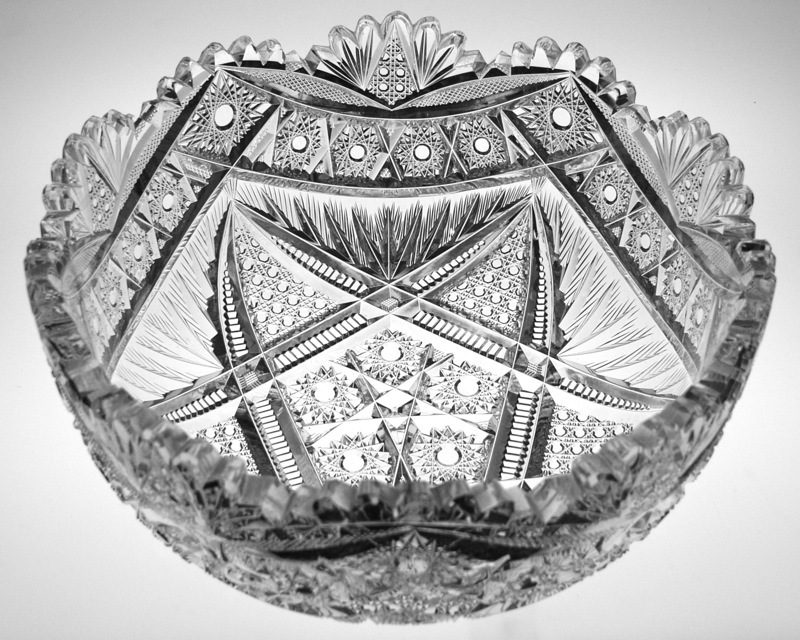 This bowl is cut in American Cut Glass Company’s Jeweled Star pattern. American Cut Glass, under the mastery of William C. Anderson, put out some of the best conceived designs and pieces of the Brilliant Period. 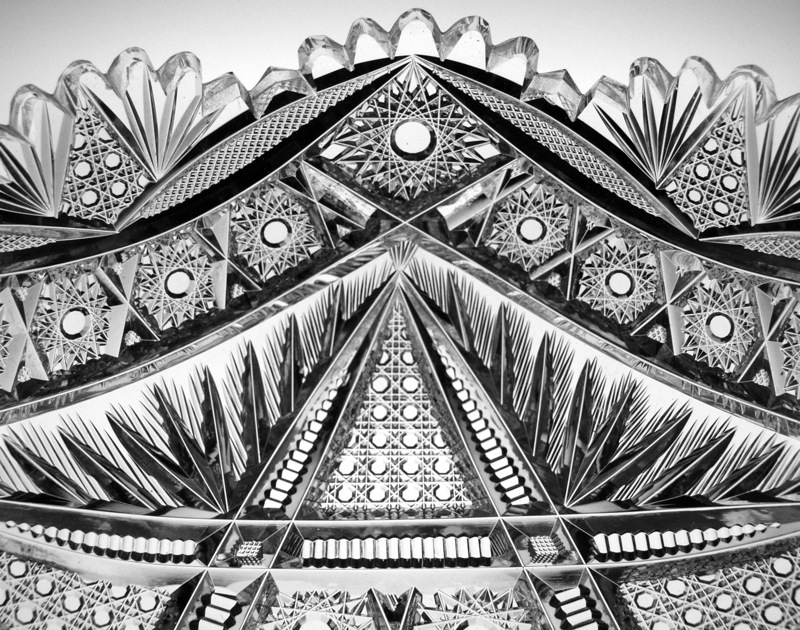 The Jeweled Star pattern is one such example of this work. 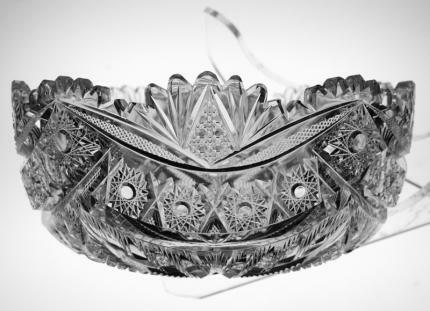 This bowl features a ribbon of 25 precious clear-button hobstars draping the entire perimeter of the bowl. These hobstars are seperated by crosshatching. 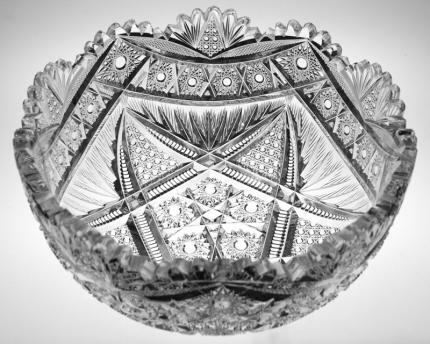 Where the ribbon drops, there are two vesicase of crosshatching with a diamond field of cane and fan. 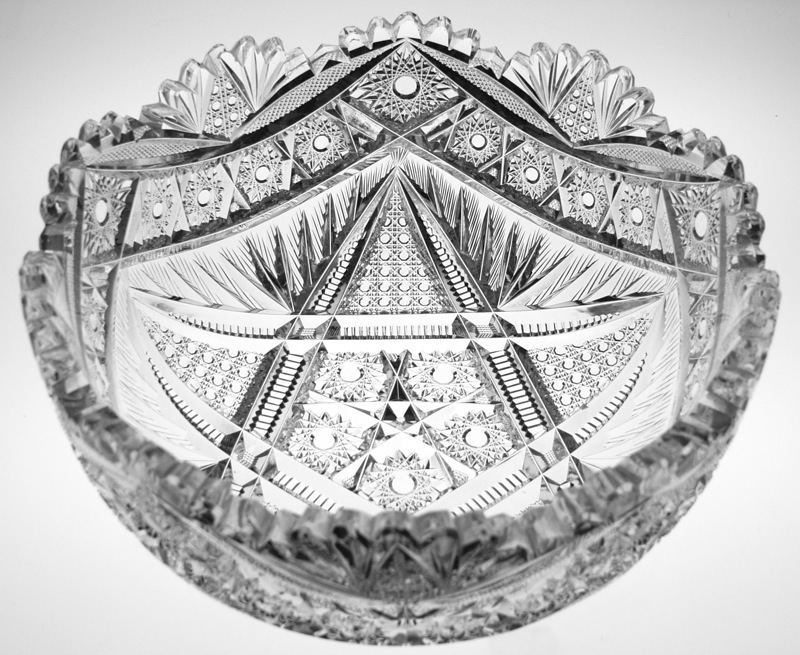 The center of the bowl is made up of a five-point star formation. 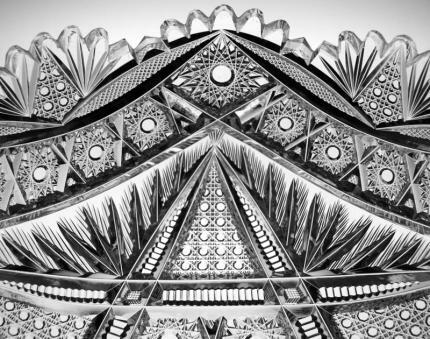 The points of the star are made up of cane which are framed on all sides by notching. The center of the bowl contains five more clear-button hobstars. 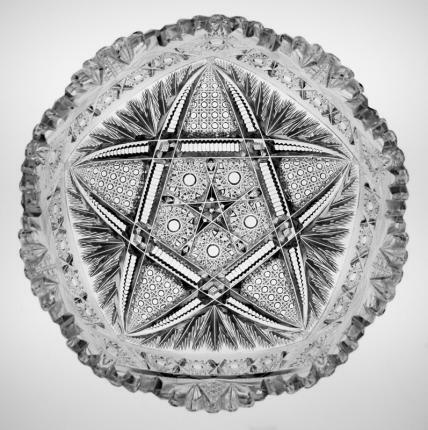 The outside of the 5-point formation is seperated from the ribbon of stars by flashed feathering which makes the star look as if it was bursting. 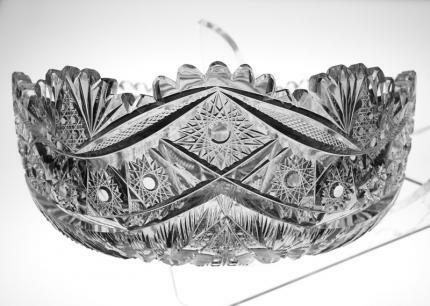 The bowls overall effect is nothing short of stunning. This piece is on one of the finest and clearest blanks I’ve ever seen and it has some heft to it as well. It’s in perfect condition save for a few tiny little nips in the cutting. The bowl measures 8 1/4″ wide and just over 3 1/2″ tall. Don’t miss this opportunity to own one of the best patterns by one of the premier designers of the Brilliant Period – Mr. William C. Anderson.